As we’ve previously reported, Ed Helms and Owen Wilson will soon be starring in a comedy as brothers who try to track down their birth fathers after finding out that their mother lied when she told them they were dead. The comedy twist is that their mother slept with a bunch of famous people back in the day, meaning that the fathers could be any number of possibly famous men—though the top two contenders, based on what we know about the cast, are J.K. Simmons and Terry Bradshaw. 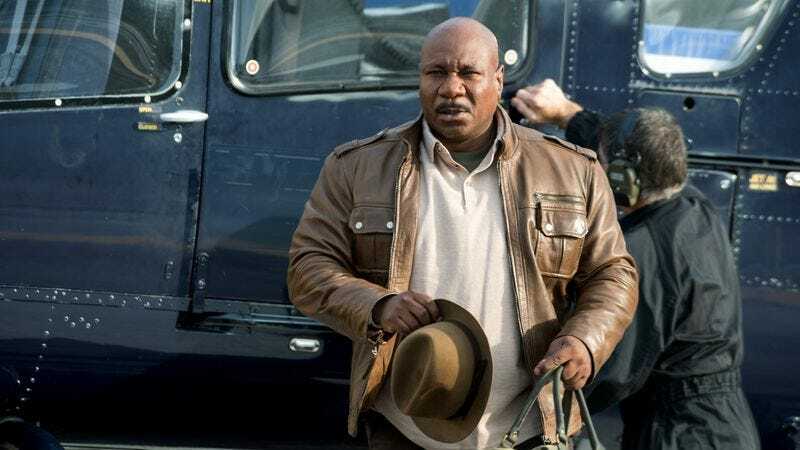 Bradshaw will be playing himself (Simmons probably won’t be, but we don’t know for sure) and now Deadline says that he’ll be joined by Ving Rhames as a (fictional) former NFL teammate. Rhames’ character will be named Rod Hamilton—which is such a good name that we’re surprised Ving Rhames’ real name isn’t Rod Hamilton—and he apparently “helps Bradshaw figure out whether or not he’s the kid’s father.” That doesn’t sound like an especially extensive part to us, but maybe he runs into some trouble while driving Bradshaw to get a blood test or something.